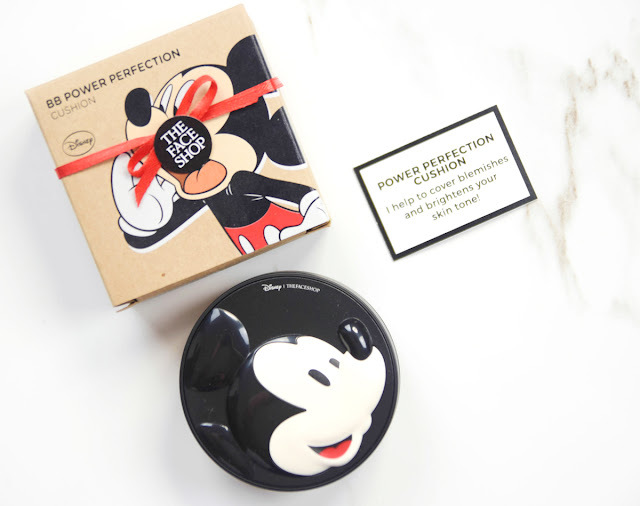 We have spoken about countless beauty cushions this past year, but with THE FACE SHOP releasing its Disney Collection in full swing last month, we now have three new cushion foundations to play with. 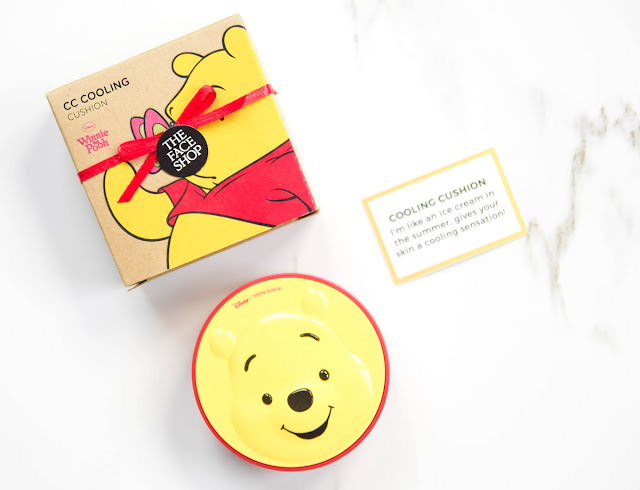 This collaboration features a full range of eye palettes, mascara, eyeliner, lip tints, lipsticks and more but with the three prime characters being Winnie The Pooh, Mickey Mouse and Mike Monsters Inc, THE FACE SHOP has split their foundation cushions into three, which is the Cooling Cushion, Power Perfection Cushion and finally the Long Lasting Cushion. The first thing you would notice when you take a look at these beauty cushions is that the personalization on these are top notch. They are made out of hardy materials, have great design and the best part is that they are all 3 dimensional, without a hint of printed decal on them. However since we are here to talk on formulation, let's break down to see what these three variations are all about. So first up here we have the Winnie The Pooh Cooling Cushion. This particular one is designed for those who have dry skin and gives instant moisture with a very cooling sensation when it is applied on the face. 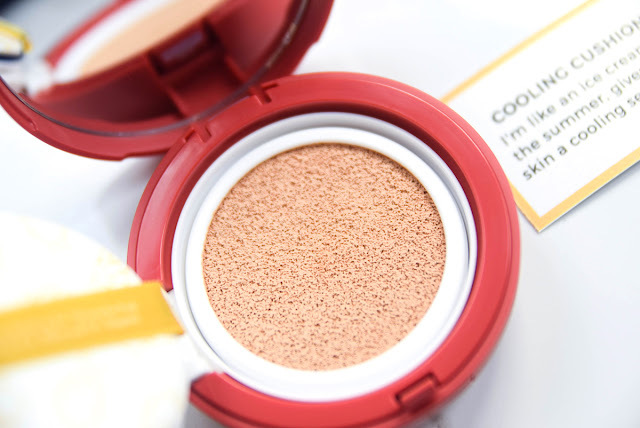 The one that we have in hand is in the shade V203 and while its shade covers from light to medium, it does give a decent amount coverage to the skin. On the other hand, its finishing is also pretty lightweight, so while it's formulation does reduce redness, reapplication would be needed after 3-4 hours. As for the Mickey Mouse BB Power Perfection Cushion (Shade V203), its texture is very airy and gives good coverage that can last up till 5 hours and more. You can certainly layer on this cushion for reapplication but what most people would really like about it is its SPF capabilities, as it has SPF50 PA+++ sun protection within. Now while this cushion is suitable for most skin types, it is most certainly ideal for those who have oily to normal skin. 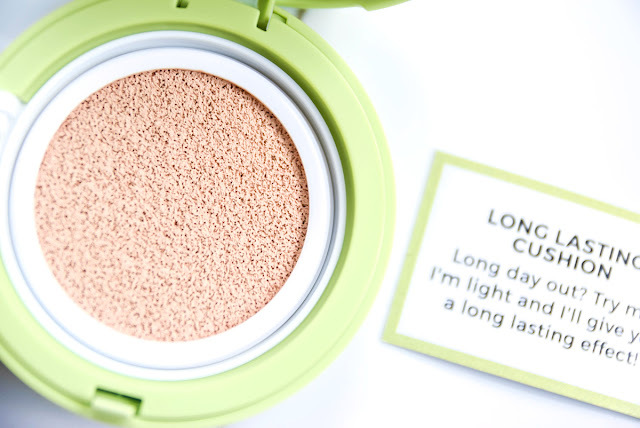 It's light form gives a very comfortable finish without being overly dewy or heavy and if you are looking for something that would help cover imperfections or light spots around the face, then this would be great to use as well. 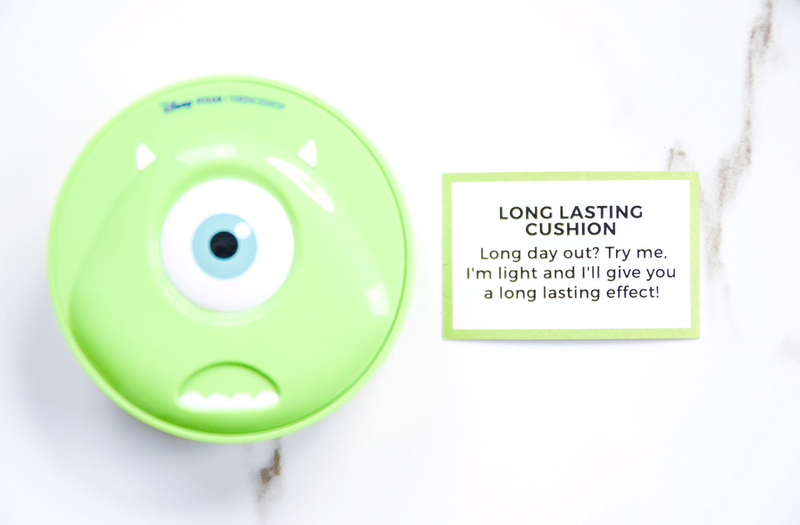 As for the Mike Monsters Inc Long Lasting Cushion (Shade V203), this particular one is designed for an all day wear. 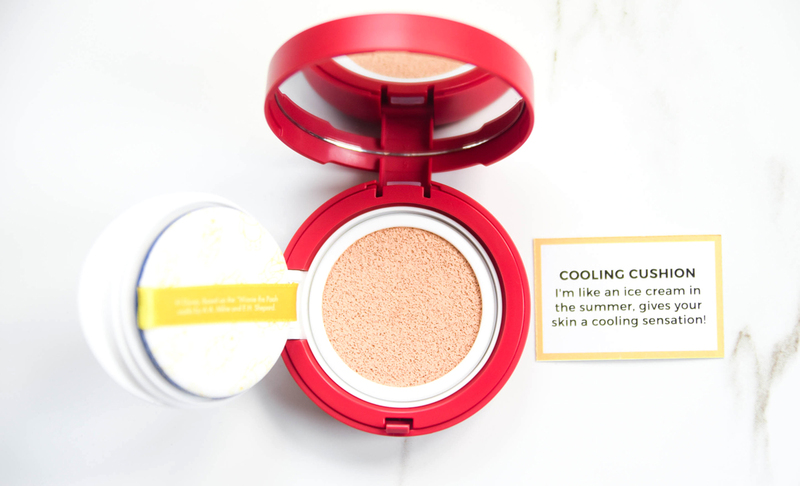 It can last throughout humidity and if you are a little tan, you can mix it up with a touch of bronzer and set it with a setting spray. 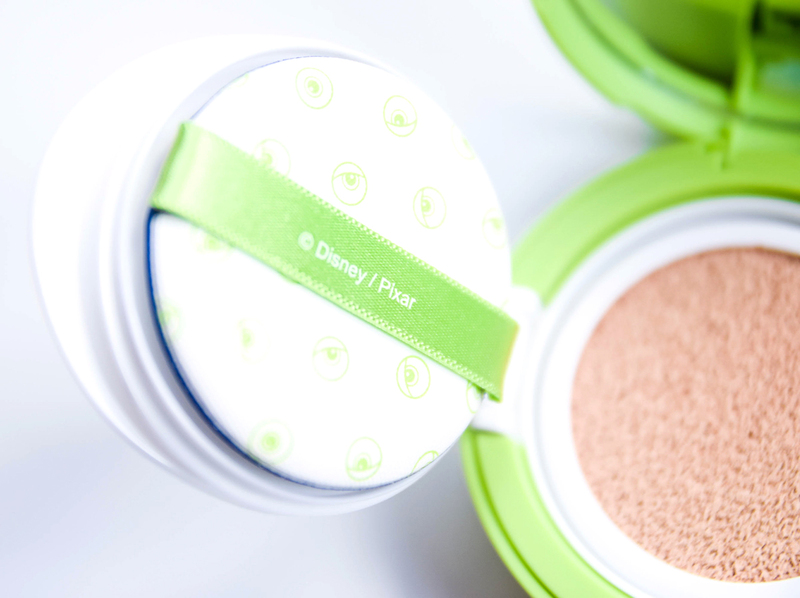 The formulation for this is non-sticky and with an ultra adhesive film, it also delivers great radiance and a smooth poreless finish. 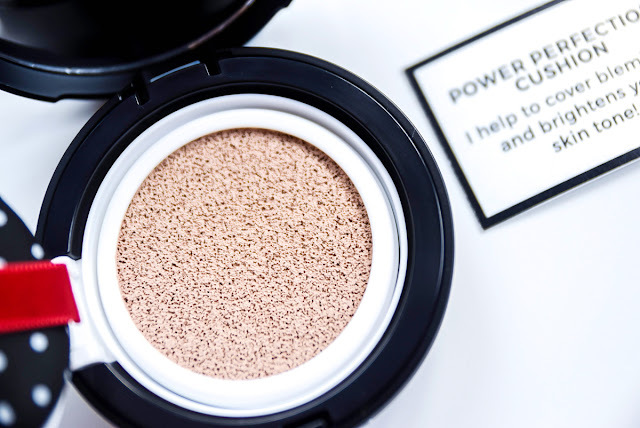 Best suited for combination to oily users, you can also have the choice of mattifying down the formulation with a loose powder as well. 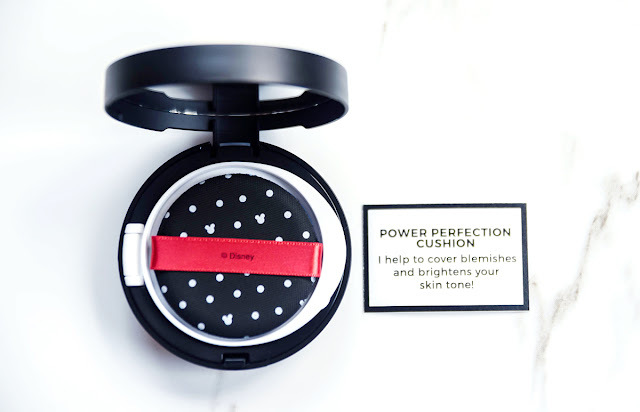 Our overall thoughts on these is that each of these beauty cushions certainly have their benefits in their own way, and while they are beautifully designed to fit the Disney theme, they are also limited edition, which means that you might need to collect them quickly if you are a huge fan of Disney. In the meantime, each of these cushions come in three shades; one which is in V103 Pure Beige, another in V201 Apricot Beige and finally V203 Natural Beige. 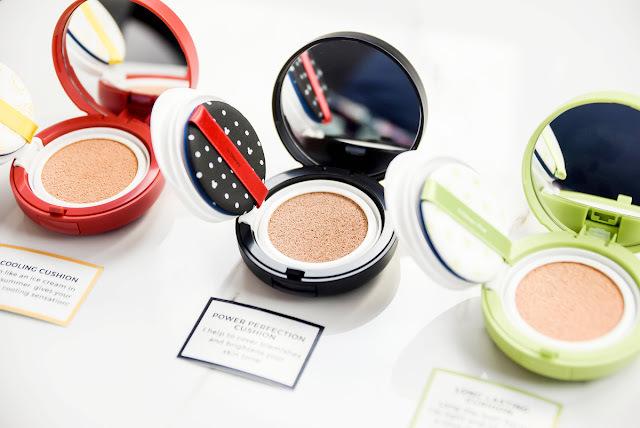 They are also priced at RM112.25 each inclusive of GST and is now available at all THE FACE SHOP boutiques, counters and online stores. Nonetheless, for more details on the range, you can also visit the brand on their Official Website, Facebook Page and Instagram for further information. I am so tempted to collect all 3 but my purse would kill me. The Faceshop coming up with this collection is great as they considered what consumers needed. omg !! love the mickey mouse cushions !! Love the packaging so so much! I love Mickey design but The Mike looks the best on my skin. Overall these cushion is so loved! The cushion looks so cute. I want to get the Mickey Mouse one. Yer~ So cute! I want the mike monster bb cushion! I like the Mickey & Monsters Inc cushions. Would love to collect them! omg!! the packaging is so lovely!! i cant wait to have them! i want mickey!! OMG! this collection look so kawaii!!! Those Disney cushions are just too cute. Mike from Monsters Inc is my fav. I'll have to stock up on this limited edition. OMG! Mike Monster looks so cute!! 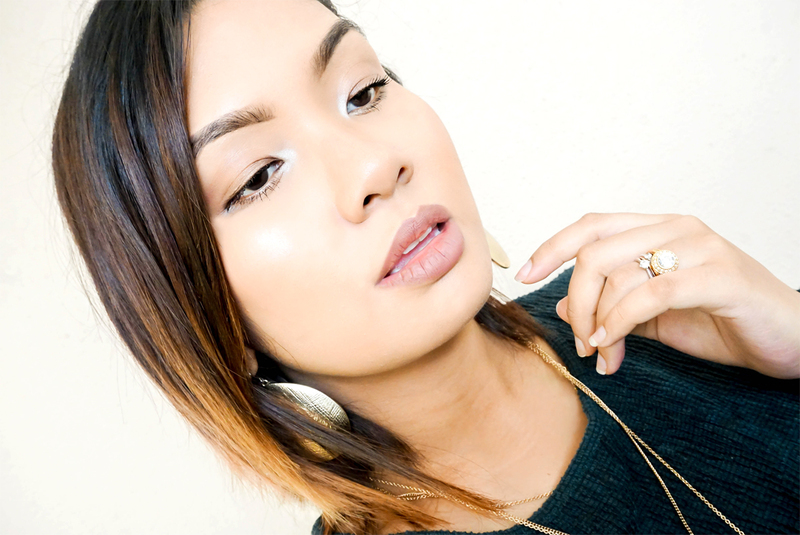 How I wish I do put on make up now! Cushions is something I am liking now-a-days. 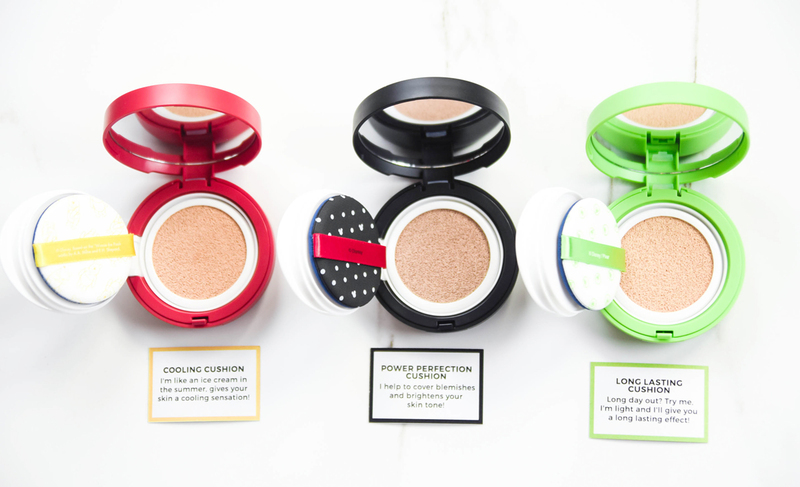 They provide nice coverage and are long lasting. This looks so so cute. Would love to have one. Other than the quality of the product, I really love the packaging. It was so cute. I tried to but the Mickey one, but it was out of stock. Sad huhu. Omg this is sooo cute!!! I need to get them all! This is so cuteeee!! Who dont want to own them?! Goshhhhh Cant wait to get this! 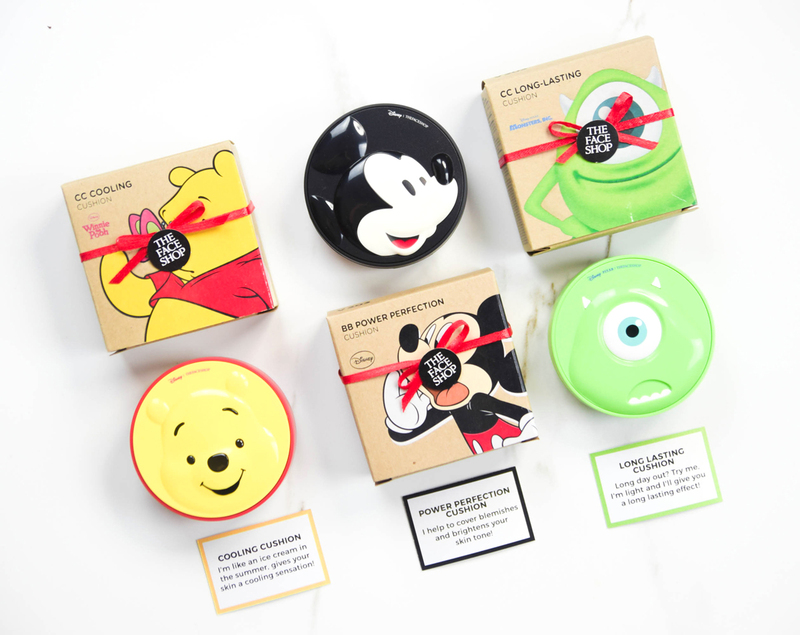 I am loving their cute disney packaging =D I bought the Mike cushion one too! So cute the character. 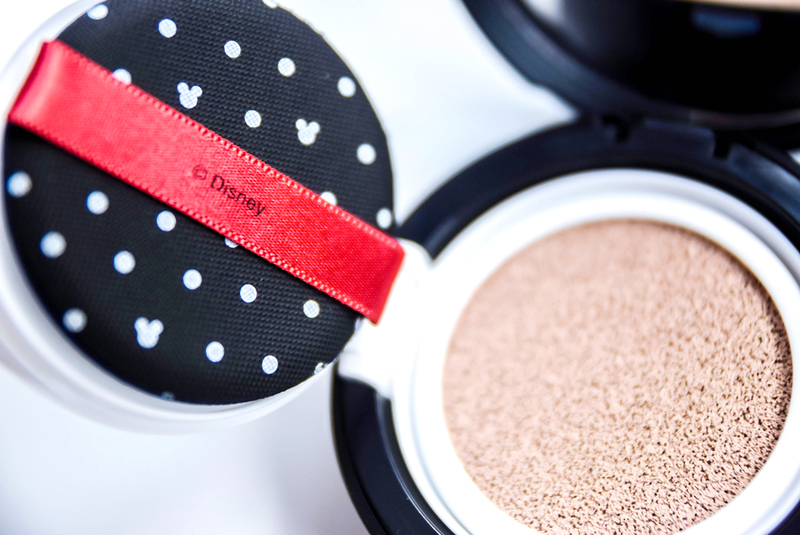 I want go and grab Mickey mouse BB cushion. Love the limited edition. 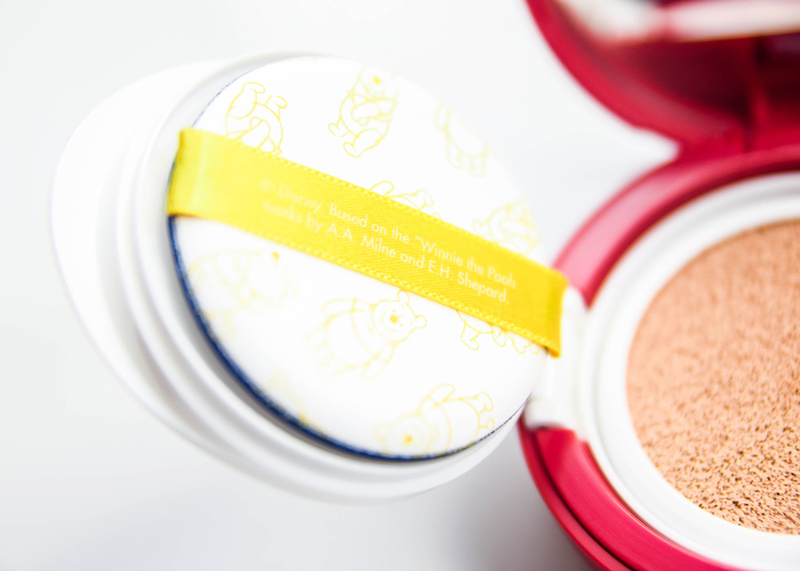 I heard a lot of good comment about their bb cushion from friends ! The packaging was so cute ! !